Margate is a popular holiday town in the KwaZulu-Natal province of South Africa. This destination is home to more than 26,000 residents and a preferred location for locals and foreigners. Margate offers you Blue Flag beaches, plenty of fun for the family, and exciting outdoor activities. Top attractions include Lucien Beach, Riverbend Crocodile Farm, and Margate Art Museum. Treat yourself to a relaxing vacation experience, because cheap flights to Margate are available for a limited time! Margate is the home of Margate Airport (MGH), which is a 5-minute drive from the city centre. Margate Airport serves the airlines of SAA and SAA Express. Direct flights to Margate are available from O.R. Tambo International Airport while connecting flights are available from Plettenberg Bay Airport. The flight duration from Johannesburg to Margate is approximately 1 hour, 30 minutes. 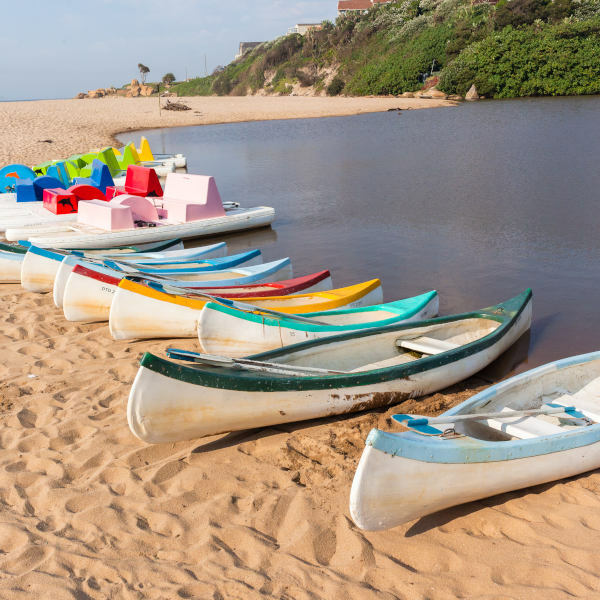 Situated along the southern coast of KwaZulu-Natal, Margate gives you access to many gorgeous beaches. These locations include Southbroom Beach, Umkobi Beach and Lucien Beach. Margate offers you more than just a place to relax. 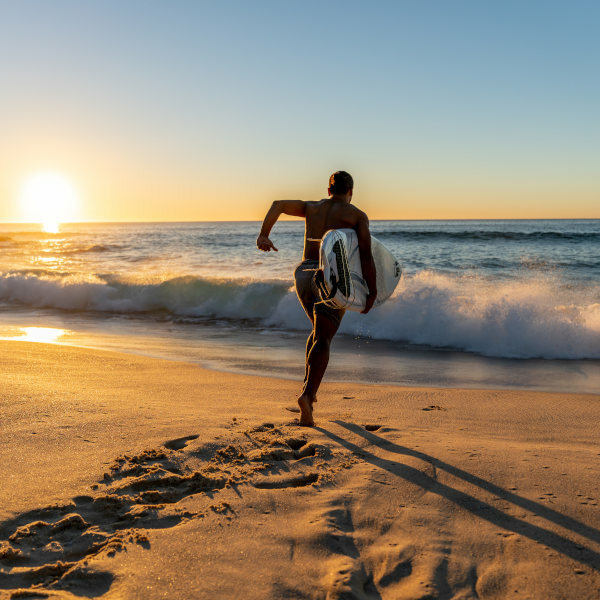 Have fun outdoors with surfing lessons and golf courses in Southbroom as well as exciting sightseeing tours through Margate. There is so much fun to be had for the family in Margate! Treat the kids to exciting activities at Margate Amusement Park and hit the ice at the Galleria Mall Ice Rink. Margate has a warm and temperate climate, with a considerable amount of rainfall throughout the year. The driest period is winter (May – August), which brings warm days and cool nights along with minimal rainfall. These months provide the best weather conditions in Margate and a slow season for tourism. You can look forward to cheaper flights and accommodation. However, skip August, as it is one of the busiest months in the town. For the cheapest flights and accommodation, book flights to Margate during autumn (March – April). Discover why numerous travellers enjoy a summer holiday in Margate. 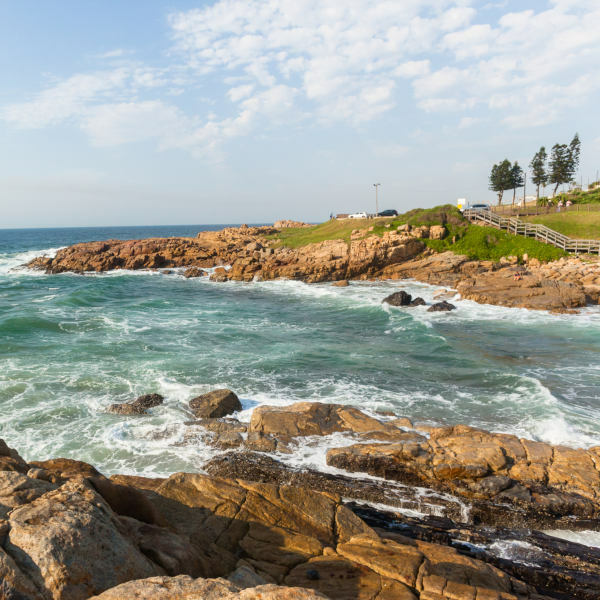 This major town in the south of KwaZulu-Natal grants you easy access to an alluring coastline home to numerous beaches. Families favour each one due to the warm waters of the Indian Ocean and safety nets keeping out curious predators. They are great venues for swimming, surfing, as well as snorkelling. The top beaches include Margate Beach, Southbroom Beach, Shelley Beach, Uvongo Beach, and Ramsgate Main Beach. Go on sightseeing tours around the town. Admire the art in the Margate Art Museum. The nearby area of Southbroom offers golf enthusiasts a place to test their skill and is also the place to learn to surf. Southbroom is also where you can go to relax with delightful spa experiences. Adventure seekers won’t be disappointed with awesome outdoor activities such as skydiving and nature reserves to explore, including the Mpenjati Nature Reserve and Skyline Nature Reserve. Compare several airlines and book your cheap flights to Margate online at Travelstart! You will not need any vaccinations before travelling to Margate unless you are coming from an area affected by yellow fever. Make sure that you have proof of your vaccination, which you must present before entering Margate. While exploring Margate, make sure to do so in a group and practise basic caution as you would in any other destination.